Should we be using ultrasound to place central lines? I read a post a few days ago by the prolific Ryan Radeki regarding a recent NEJM study that evaluated the complications of the three most commonly placed central lines. The study design is pretty good, and they have an impressive N of 3,471 catheters in 3,027 patients. Basically, they prospectively evaluated complications associated with the most common types of central lines, and their primary outcome was rate of complications. In their study design patients who needed a central line were randomized to get a line in either the jugular, femoral or subclavian veins. They reported that the jugular had the highest infection rate (1.4%), the femoral had the highest thrombosis rate (1.4%), and the subclavian had the highest “mechanical complication” rate (2.1%). “Mechanical complications” included pneumothoraces, arterial injury or hematoma. I think overall, this study is good except for a few things. The main one is that I’m not sure about the external validity of the results. The medical staff placing central lines had to have already placed 50 lines before they were able to enroll patients. That’s a lot of experience, and therefore this data can’t be extrapolated to all physicians who will be placing central lines. They used ultrasound in only a minority of their patients. Internal jugular vein central lines. The data here is pretty vigorous, so I’m not going to spend too much time here. The SOAP-3 trial2 randomized patients to get landmark (LM) or ultrasound (US) guidance for jugular lines. They found that using US had an odds ratio of cannulation success of 53.5 over LM. In addition, the time to success was 250 seconds with LM and 109 seconds with US and the complication of 13% with LM was decreased to 3% when using US. A study by Lam et al3 reported that when US was compared to LM, US was found to have increased 1st attempt success, reduced overall attempts, reduced failure and reduced complication rates. Another trial4 randomized 110 patients to get US or LM guidance found US to have increased success rate and decreased complication rate. What I’m trying to say is that I’m not sure these results are applicable to what most of us do in emergency medicine. 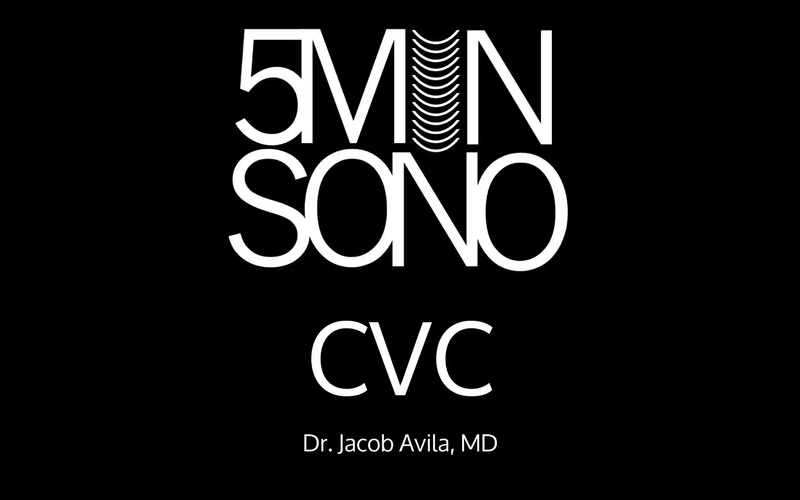 Most of us use sonographic guidance when placing central lines, since it is arguably the standard of care now. I’m not sure what the complication rates would be if we took emergency physicians that had already placed 50 US-guided central lines, randomized them to place subclavian, femoral or jugular lines and looked at complications. I imagine that it would likely be different from what this study showed. Bottom line: Central venous catheters are relatively safe in experienced hands. Just don’t forget that you should use dynamic ultrasound guidance to place your lines. Parienti JJ, Mongardon N, Mégarbane B. Intravascular Complications of Central Venous Catheterization by Insertion Site. The New England journal of medicine. 373(13):1220-9. 2015. Prabhu MV, Juneja D, Gopal PB. Ultrasound-guided femoral dialysis access placement: a single-center randomized trial. Clinical journal of the American Society of Nephrology : CJASN. 5(2):235-9. 2010. Lalu MM, Fayad A, Ahmed O. Ultrasound-Guided Subclavian Vein Catheterization: A Systematic Review and Meta-Analysis. Critical care medicine. 43(7):1498-507. 2015. 4 Responses to Should we be using ultrasound to place central lines? Outstanding job with this video! Concise yet covers all the common tips for vascular access! Well done!!! When I work on my own I almost exclusively do USG left subclavian, wire-in-needle. By far my favorite technique.